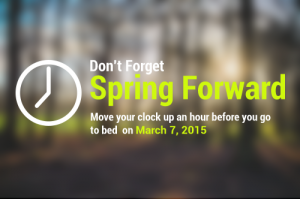 That time has come again to move our clocks up an hour. Just a little graphic I did for fun. Really could anyone these days spend a whole week, day, or month without the internet? I did this past weekend. I decided to challenge myself to spend the whole weekend not using a computer, or the internet or cell. I stuck with my old staples I used to do way before even owning the computer or being on the Internet. I went back to pencil and paper to draw, read a lot, listened to old mix tapes, CDs, and dusted off my SNES. Though if my Atari 2600 & NES was still in working order I would have setup those up too. Plus I getting to go out side for a walk without taking my phone with me, was a great feeling. It was great taking the weekend to become disconnected from the “very connected world” I live & work in. Since the experiment went so well I hope to become more disconnected in every weekend I am not working…I like the idea of getting back to basics.